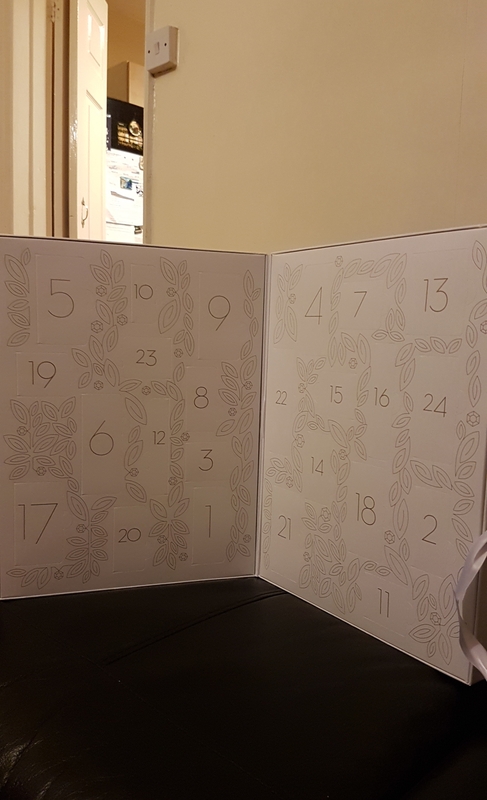 Despite already having two beauty advent calendars, I couldn’t resist picking up a third! 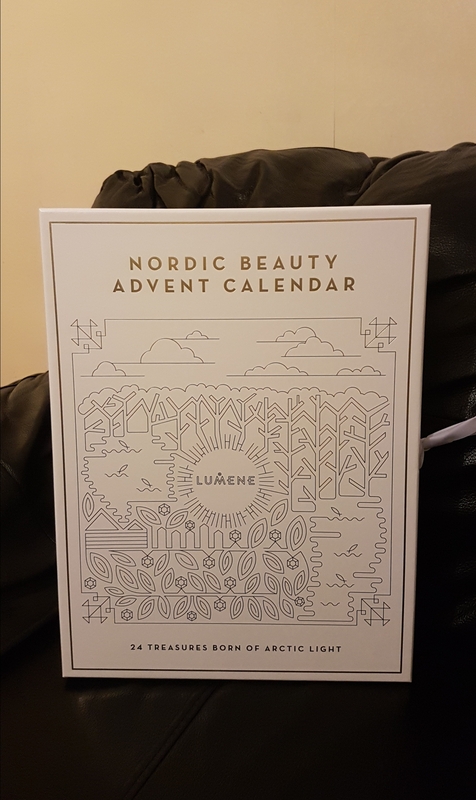 On my way back from Finland, I saw a Nordic Beauty Calendar that I just had to get. 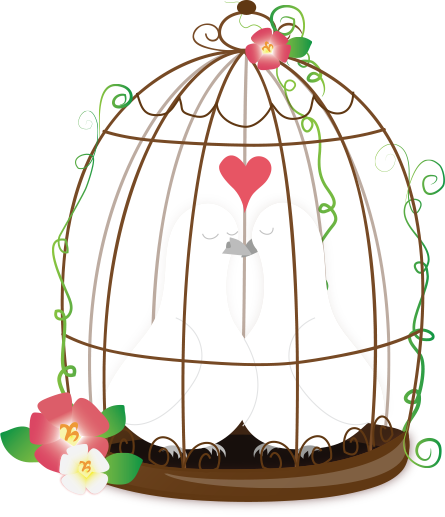 All of the products in the calendar are by the Finnish brand Lumene. So here’s a look at what I got days 1-8. 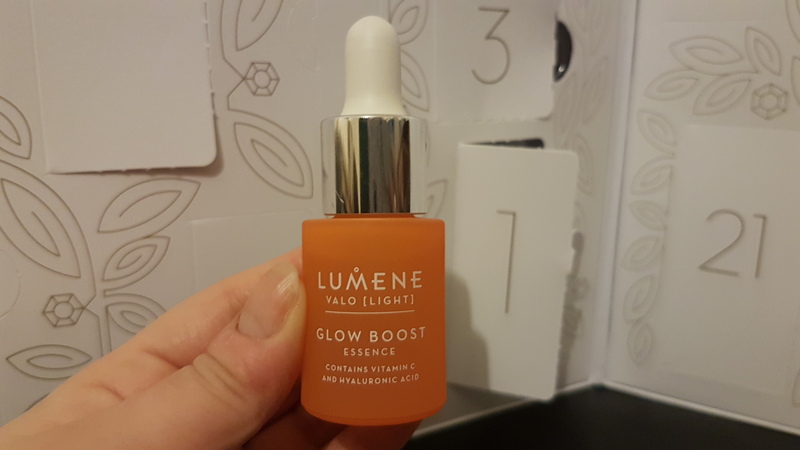 The first gift in the calendar was the Valo Glow Boost Essence. This serum contains Vitamin C to brighten skin, Hyaluronic Acid to boost hydration and Pure Artic Spring Water to soften skin. 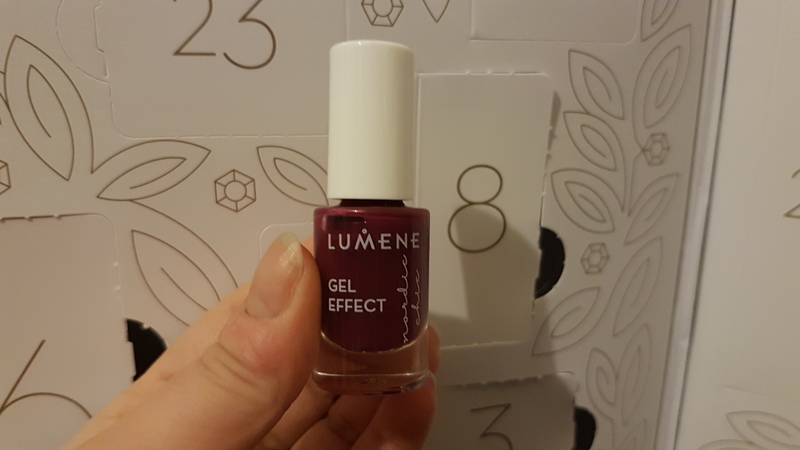 On the second day, I received this Gel Effect Nail Polish in the shade On The Beach. This is a really pretty dusky pink that I can’t wait to use. 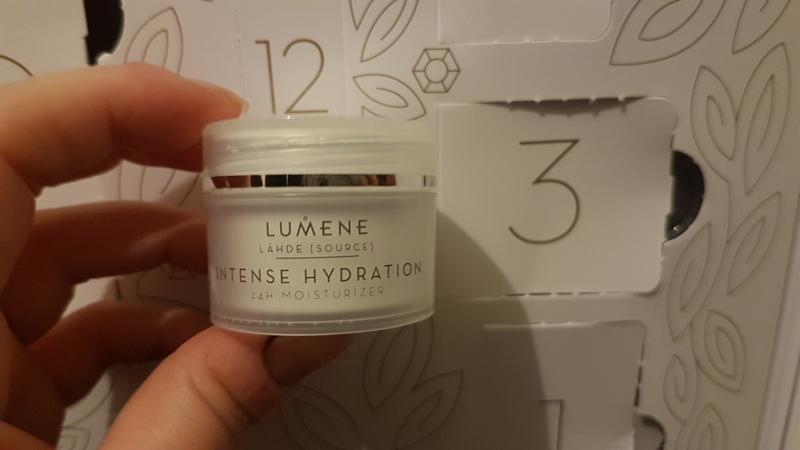 The next product I got in this calendar, is the Intense Hydration 24H Moisturizer. This day cream is meant to be light-weight, moisturising and also softening on skin, as it contains Pure Artic Spring Water. 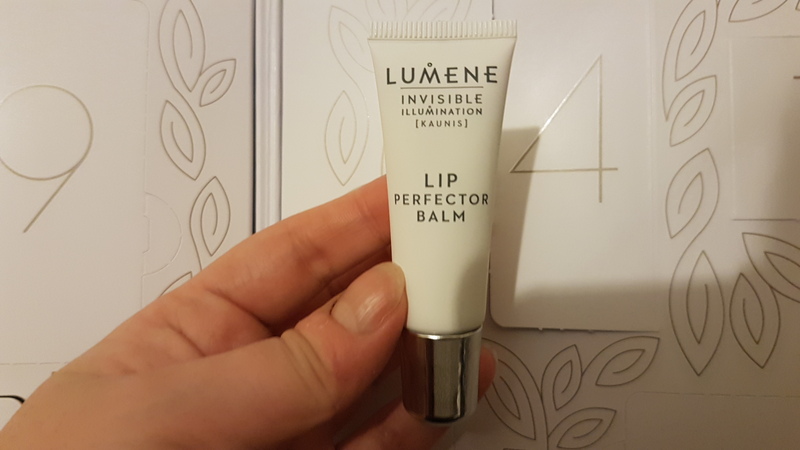 Inside the calendar on day four, was this Invisible Illumination Lip Perfector Balm. I love lip balms, so I’m really happy to have got this. 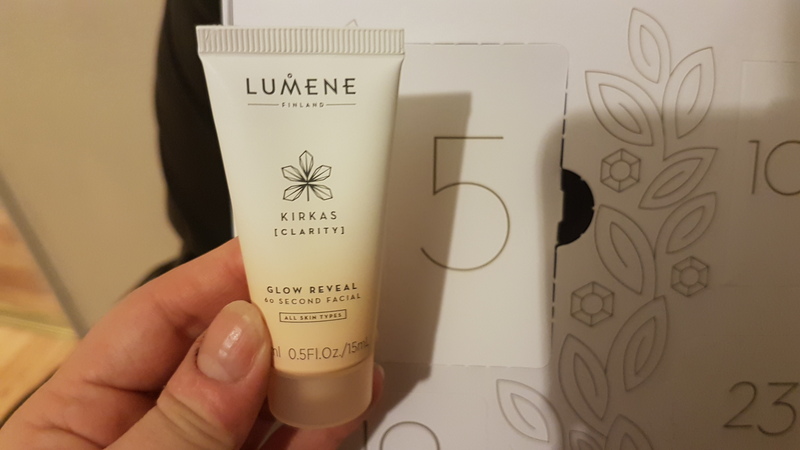 The next item in the calendar was the Kirkas Glow Reveal 60 Second Facial. I initially thought this was a cleanser, but you use it on already cleansed skin. You massage this into your skin then rinse off after a minute. This treatment helps to brighten and exfoliate. On day six I got a Nordic Chic Eyeshadow Primer. My current eyeshadow primer has pretty much dried out, so I’m glad I have this one to try. Yesterday I opened my calendar to find an Overnight Bright Sleeping Cream. This night cream is rich in antioxidants, Vitamin C, Hyaluronic Acid, Artic Spring Water and Cloudberry extract, to deeply hydrate and brighten skin. 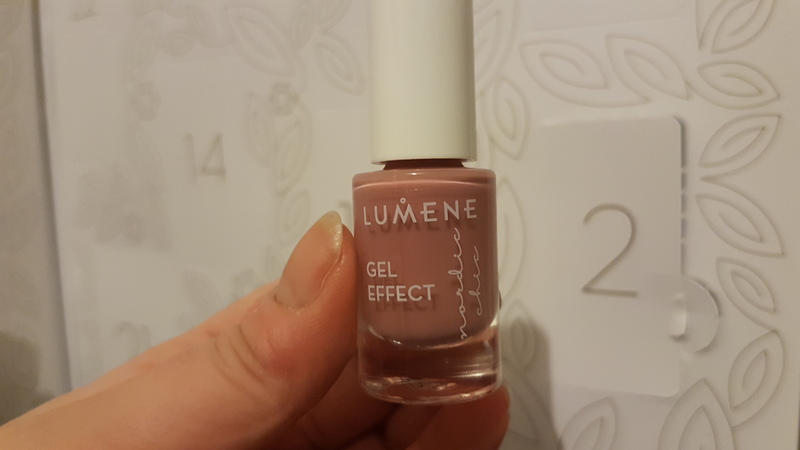 And finally, today I got a Gel Effect Nail Polish in the shade Moonlit. This is a burgundy/purple colour, that looks gorgeous. So that’s the first eight days of my Nordic Calendar. So far I’ve been really impressed by all of the products I’ve received. Let me know what your favourite item from the calendar is. These products look amazing and I have fussy skin so I’m picky. I also only own pinks and reds for polish so I’m v happy with the colors as well. Can you see what’s in the calendars before or you just take a gamble? Hahahaha! He knows you so well! And I always think your skin is absolutely luminous! I would have a hard time not opening them all at once! 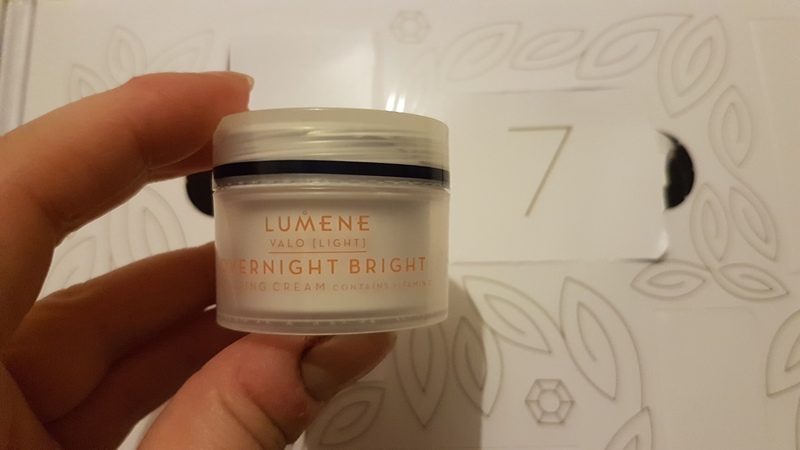 Lumene is such a great brand! I think this was a wonderful souvenir from your trip to Finland as the brand is from there! 😀 What great treats you got so far – a mix of skincare and makeup bits! 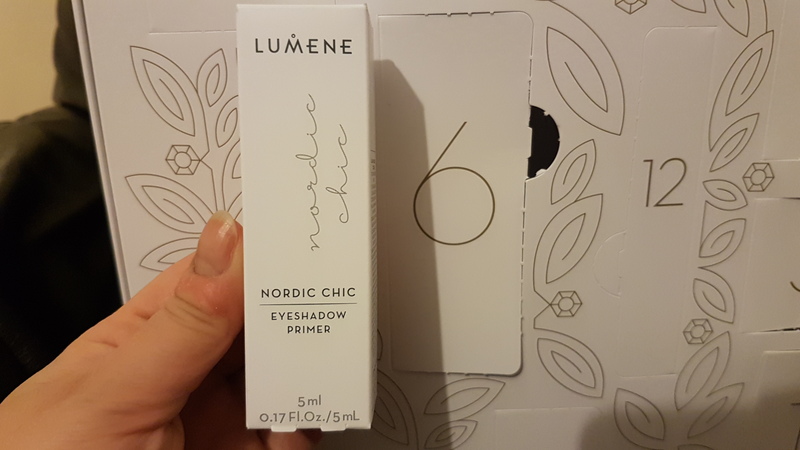 I love Lumene’s eye primer – I had it ages ago so I’m not sure if it’s the same formulation. This is the calendar I was quite hoping to get, but ultimately decided against it – although Lumene recently revamped its products, we’ve not always gotten along. It’s fun to see it on a non-Finnish blog!